Jolly old Santa couldn’t be sweeter ... detailed and “frosted” like a fancy Christmas cookie, hand personalized for one special believer. 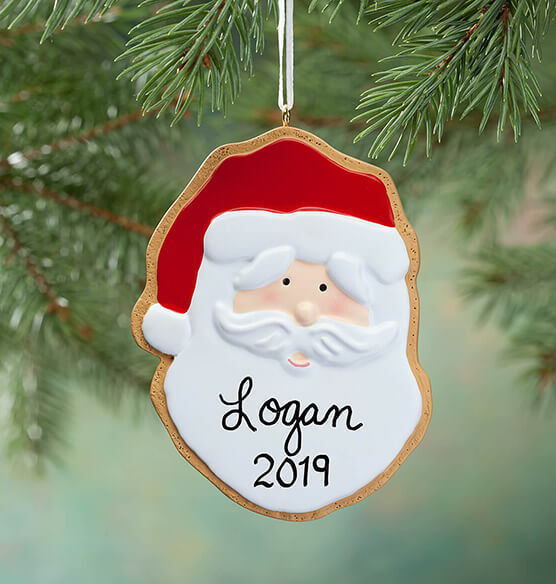 This personalized Santa Christmas cookie ornament is a fun gift for kids of all ages! Specify name; limit 2 lines, 12 letters/spaces each. Christmas ornament made of Resin. 3 3/4" long x 2 3/4" wide.